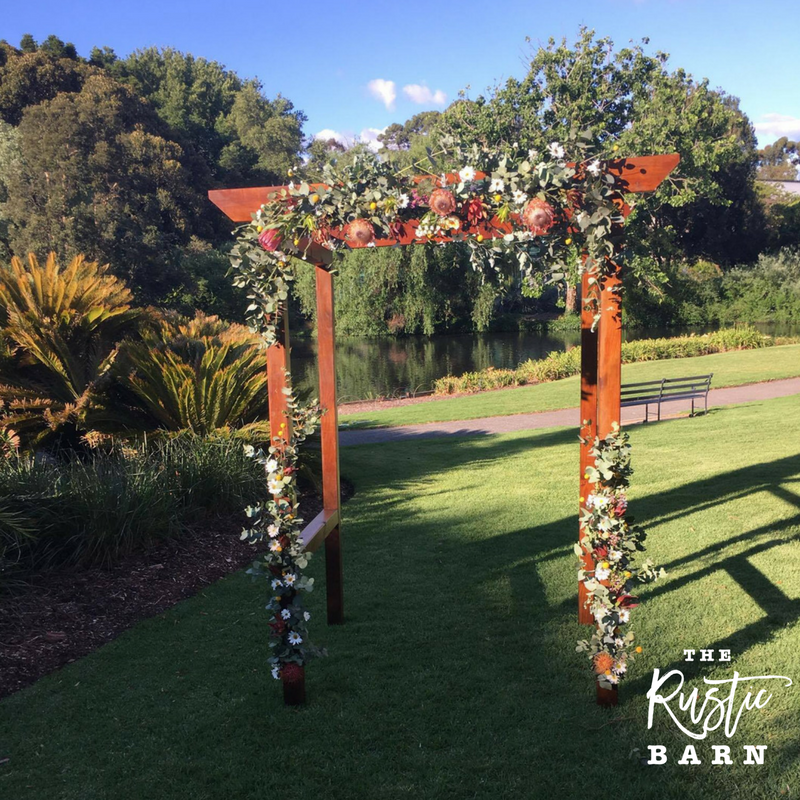 Hire a rustic wedding arbour for your garden, beach or valley wedding ceremony. 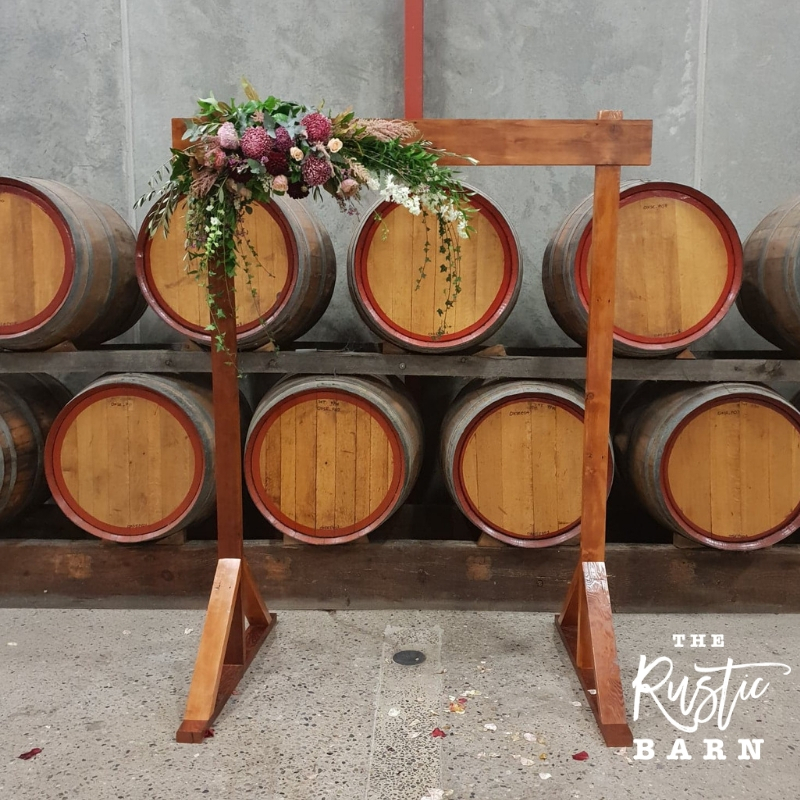 Standing at an epic height of 2.4m tall, The Rustic Barn wedding arbour is the perfect way to frame your wedding ceremony. 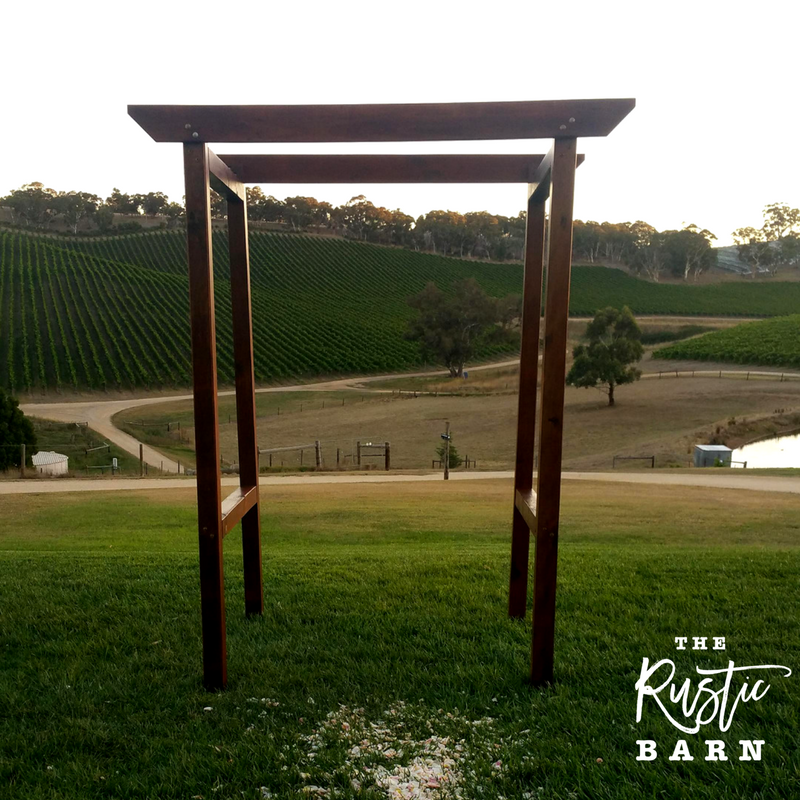 Rich in strength, character and colour, the rustic wedding arbour is perfect for all outdoor ceremony occasions. 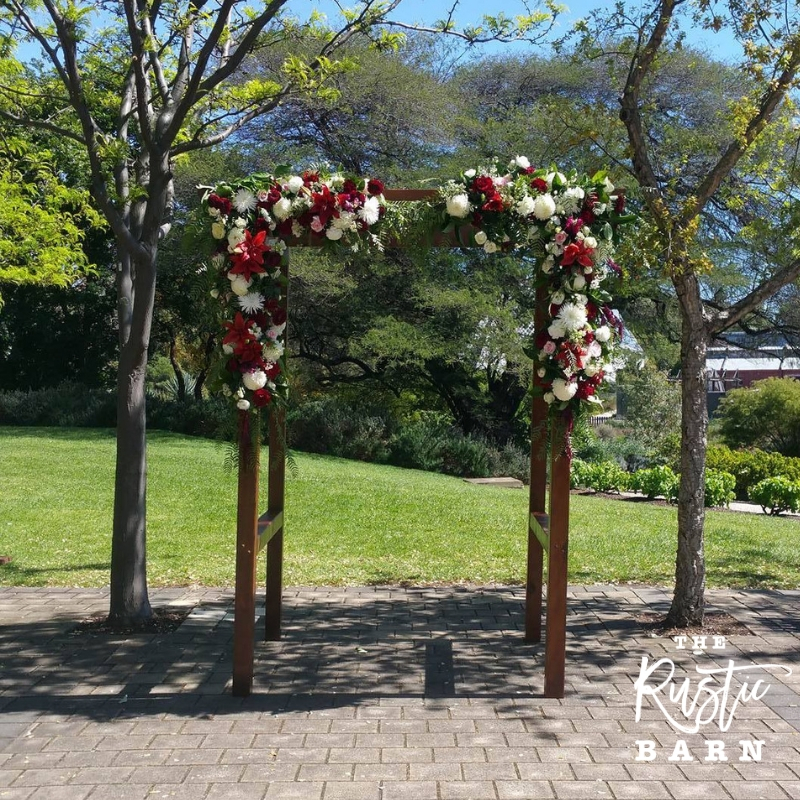 Drape your wedding flowers down the bold posts or frame it with a white chiffon curtain. 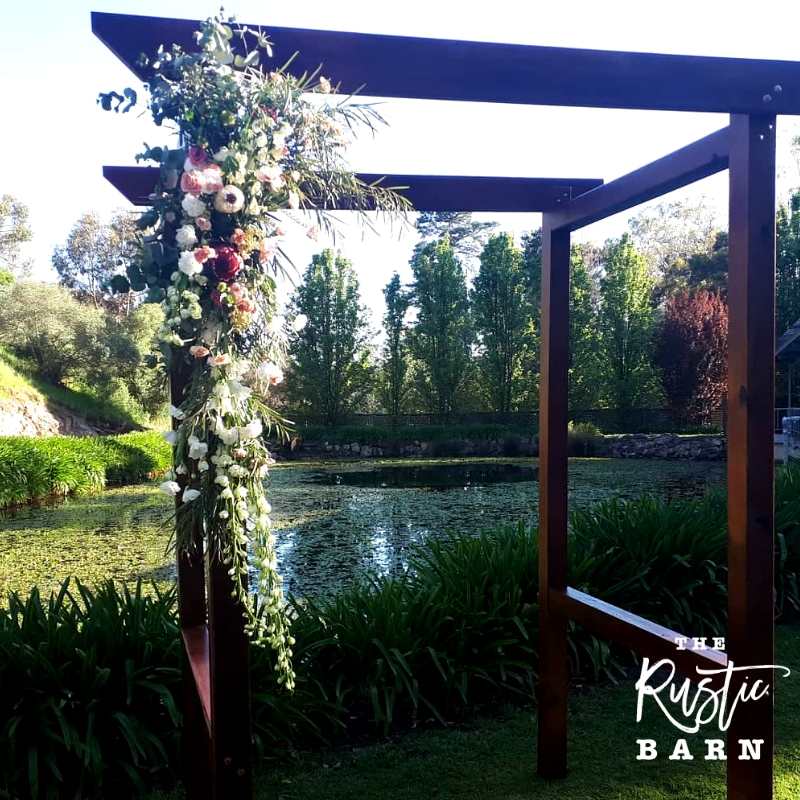 Talk to us, your event planner or stylist about dressing the rustic wedding arbour to your preference; we are all here to help make it happen. 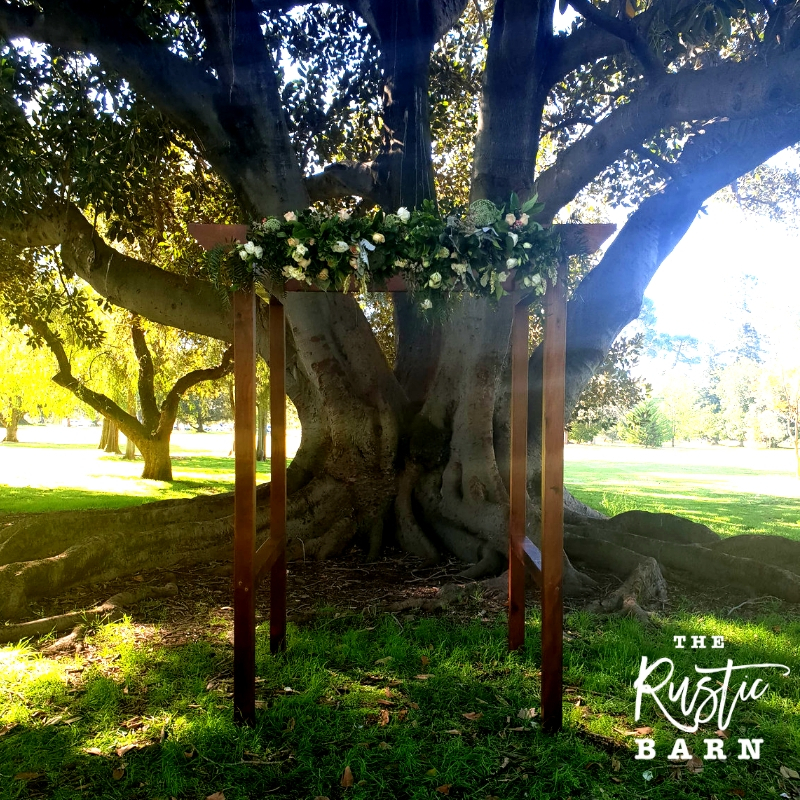 The Rustic Barn wedding arbour is featured in our wedding ceremony package or can be hired as a stand alone feature. 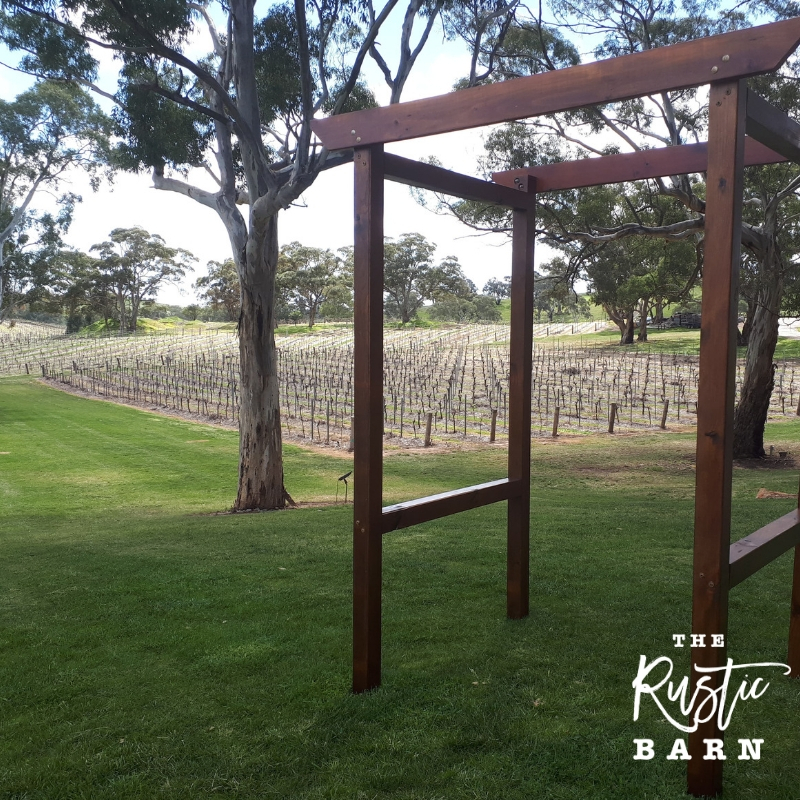 A small delivery fee may apply - contact us today for a quote.